The Adobe Flash Player is required to view this multimedia interactive. Get it here. Legions of sleuths have tried over the years to find proof of a late-1940s marriage. Seymour Hersh reported in his 1997 book The Dark Side of Camelot that Kennedy friend Charles Spalding said he destroyed all evidence. Both sides always denied the marriage had taken place. So where’d the story come from? 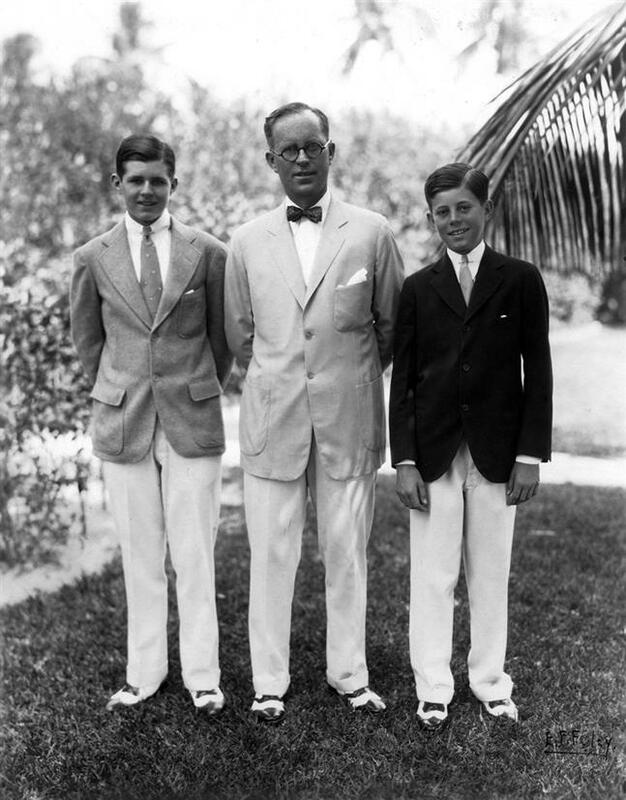 Joseph P. Kennedy Sr. with sons Joe Jr. and Jack, Palm Beach, 1931. Time said the author, Louis L. Blauvelt, spent 35 years compiling the book’s 25,000 bios but acknowledged there might be errors in his 1,100 pages. The article pointed out that Blauvelt misspelled Malcolm, “Malcom,” transposed marriages 1 and 2, and omitted her almost decade-old marriage to Thomas Shevlin. That was her story, and she stuck with it. She was 91. The Smoking Gun has some interesting documents on l’affaire Blauvelt, including a memorandum from FBI director J. Edgar Hoover. Photograph: By E. F. Foley in the John F. Kennedy Presidential Library and Museum, Boston. Copyright John F. Kennedy Library Foundation. E F Foley was my aunt Blanche Manleys husband; They were married in PB on Jan. 17,1928. E F was famous for his work both there and in Manhattans social scene 20s-40s. Do you have an archive there I may search? 1n 1997 a plumber supposedly found papers confirming the marriage hidden in a house in London.Some said these were forgeries. Jfk visited sen. Robert S. Kerr in Oklahoma while president…he stayed at the Kerr home outside poteau Oklahoma…this is now the site of a Kerr museum and odd b&b…the place is crawling with Kennedy pics…well documented trip…he dedicated the 3 sticks monument while there…Kerr…related to durie???? Howdy tasting this page was very digestive , views in this way highlights whoever analyze this topic….. I knew of this story. It intrigued me because Durie went to the same little private school I did. ((Lake Forest, Il) She was very pretty and full of herself and a couple of years older than I am. Palm Beach Daily News Publisher Joyce Reingold updates you on the latest from the Shiny Sheet and from around Palm Beach. Follow the PBUpd8 blog on Twitter! Helping Haitian Relief Effort? Know Someone Who Is? Let Us Know. Copyright © Mon May 09 23:46:27 EDT 2011 All rights reserved. By using PalmBeachDailyNews.com, you accept the terms of our visitor agreement. Please read it.